This is a bi-lingual (French/English) website which offers free illustrated Bible Stories for children, enabling all the illustrations to be seen at a glance, and easily downloaded as pdf brochures. 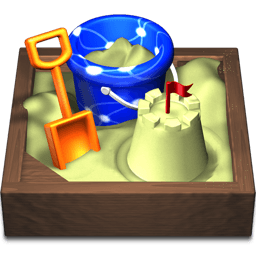 We chose Sandvox because it looked user friendly. It is fairly easy to create and maintain a Sandvox site even for someone not particularly skilled in IT, and I was able to find a style I liked. It is actually our third site, and each one has a very distinctive style.